Some of my favorite apps for therapy are made by Toca Boca. 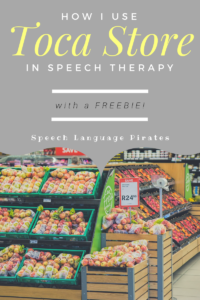 They offer many free options, which is great for SLPs with limited budget. 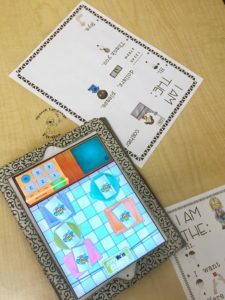 Many of the apps seem like just “games” to the kids, but can offer a variety of speech and language targets in the process. Today I’m going to focus on how I use Toca Store with my preschoolers. The premise of this game is to stock store shelves with items and then have a customer come in to shop. 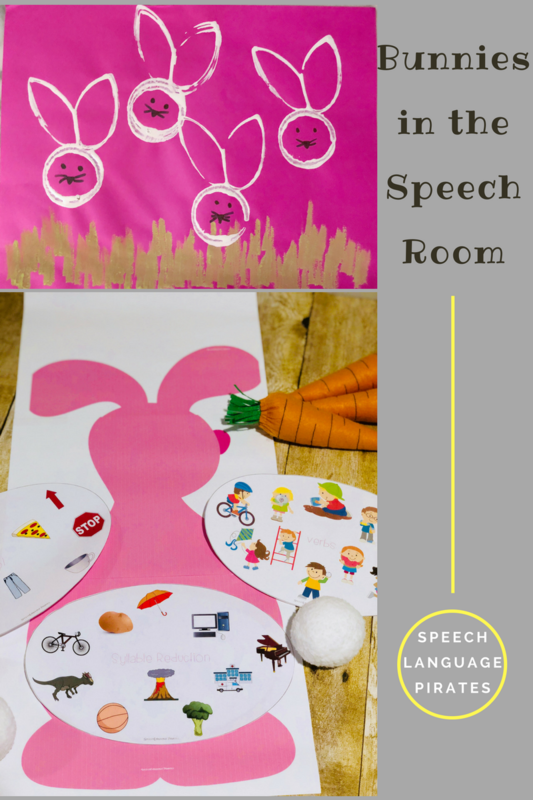 It’s perfect for group therapy or even individual, with the SLP playing one role and modeling appropriate language. 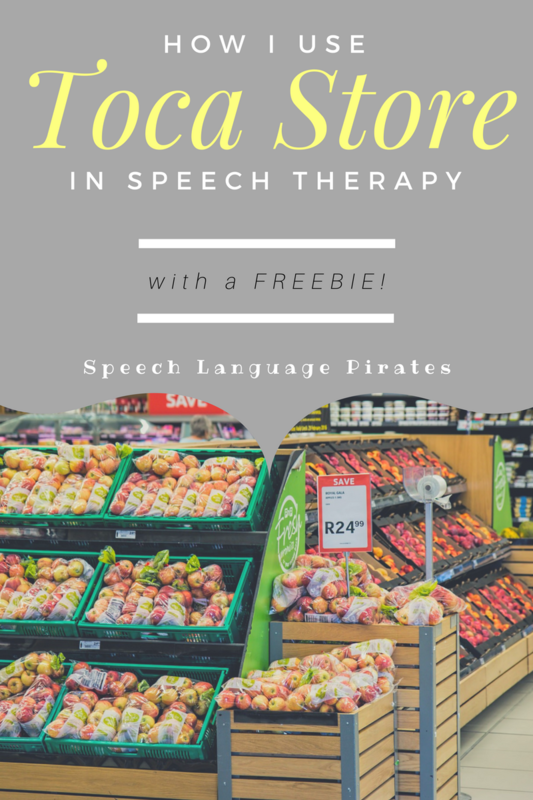 Since shopping is a common community-based activity, students can practice appropriate language during interactions, as both the customer and the cashier. You can focus on common, structured sentences, like “I want the…” as well as using pleasantries “please”, “thank you”, and “you’re welcome”. We also focus on eye contact/body positioning during these interactions, which can prove especially hard when forced to look away from a tablet screen! Sometimes I like to encourage use of peers’ names, rather than just barking a sentence into the universe: “Are you talking to me or Johnny?” So often students will look at me as they use language, since I’ve likely just given them a cue to do so. However, I didn’t want them to tell ME “Thank you for coming.” They need to tell their “customer” that! TocaStore draws from real-life experiences while lending itself to age-appropriate pretend play skills. I’ve found that scripts are the perfect way to take myself out of the equation. 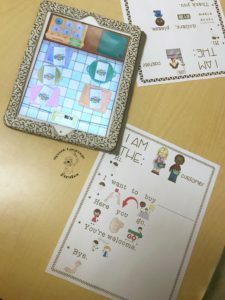 That’s why I made these visual scripts to use with my preschoolers. I laminate them, give one to each student, and have them use a dry erase marker to cross-off what’s already been said so they can keep up. Since mine are not readers, I used Smarty Symbols to help! You can download the visual scripts for FREE here! While looking through the catalog to choose which items to place in the baskets, you can receptively or expressively target categories. Most of the items fall into the following categories: food, drinks, toys. So often we focus on having students answer questions, but can they ask them? Especially of their peers! You can target “How much is this?”, “What do you want (to buy)?”, “What are you selling?” and more. In my opinion, the best way to start targeting sequencing is by using a familiar, real-life scenario. Students can put themselves into the situation and think, “What do I do first when I want to buy something?” You can talk about what you need to do as a customer – give your items to the cashier, pay the money, put the item in your bag, etc. What steps does the cashier take? This will likely take some scaffolding, but it’s a great way to model first/next/then/last vocabulary. While playing Toca Store, the items to buy and the money “travel” to so many different locations: in the basket, on the counter, in the bag. in the wallet, in the cash register. Stop at every step and ask a where question for lots of trials! When I have two friends play this game, and I’m just a by-stander, it’s usually very hard for each student not to want to play both roles. Kids are so used to the iPad being a solitary experience, it’s great to throw in a monkey wrench of having to wait and take turns so the other friend can activate the iPad, as well! It’s helpful that whichever object is next to use (e.g. the cash register, the wallet, etc.) is “bouncing” and making a slight noise. I usually have students sit on either end of the iPad; their hands can’t go beyond the middle of the iPad. No stealing a friend’s role!